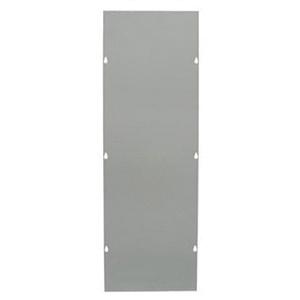 Milbank Wireway front cover in ANSI 61 gray color, features steel construction and comes with polyester powder coating finish. It has a dimension of 8-Inch x 36-Inch. This NEMA 1 rated screw mount cover is suitable for wireway accessory. Front cover is UL listed.